The Rotary Club of Paonia was chartered December 20, 1922 and had the distinction of being the smallest town with a Rotary Club in the United States! The Club grew to 30 members where it stayed for many years, but recently has been growing and now boasts almost 40 members! The name of the Club was officially changed to Rotary Club of the North Fork Valley in March of 2014 to be more inclusive of the towns of Crawford and Hotchkiss as well as Paonia. The longest serving member joined in 1959. 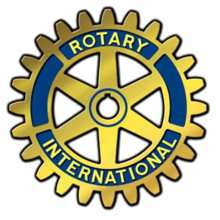 Over the past decade, Rotary Club of Paonia has formed its own foundation, raised $40,000 for a Centennial Project, grown high school scholarships from one at $500 to ten at $2,000 each, raised $6,000 for Rotary International’s Polio Eradication Project, raised its service budget to $40,000 (excluding TRF donations), earned the Rotary International Significant Achievement Award in 2010 for its Free Lunch for Needy Kids Program, continues to fulfill Rotary’s Dictionaries for 3rd Graders Program in all North Fork Valley schools and is currently working on a program encouraging locally grown foods to be served in area schools. In 2011, the Rotary Club of Paonia received its first Rotary International Matching Grant, working side by side a host Rotary Club in Jamaica, West Indies, to provide 124 gardens at local schools and homes, and to serve a free, nutritious breakfast each morning to undernourished children. As these children have experienced full tummies with their learning, their literacy scores have improved greatly from 33% to 78%. Rotary continues to support the Jamaica Outreach Program at Mason Hall Primary School in Jamaica, with donations each year since. The Rotary Club of the North Fork Valley is proud of its local fundraisers, often seen as “friend raisers”. These have included an annual Pancake Breakfast in June, and a Bountiful Brunch at the fall Mountain Harvest Festival. 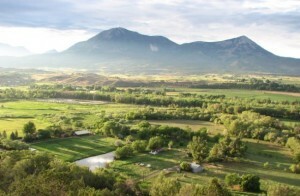 In 2012, we had a Gala dinner and auction at Joe Cocker’s Mad Dog Ranch in Crawford, CO, and raised significant money for our scholarship program. We have also hosted dinner/auctions with the Kids Pasta Project to benefit scholarships. Service projects include cleaning a mile stretch of Highway 133 between Hotchkiss and Paonia in the spring and the fall; clean up and maintaining Poulos Park in Paonia each summer; and construction of a gazebo on the Paonia Library grounds, in 2013. The Club has provided some support for many community enterprises, such as The Creamery Arts Center in Hotchkiss, The Blue Sage Arts Center in Paonia, and the school backpack lunch program. The Club belongs to the Chamber of Commerce in each of the three North Fork Valley towns, and has a presence at Crawford Pioneer Days, Paonia Cherry Days, and Hotchkiss’ annual parade. Members of our Club are active in their communities. Pam Bliss was selected by the Montrose League of Women Voters as the first recipient of their Making Democracy Work Award in September, 2014. Sarah Bishop is the Chair of the Mountain Harvest Festival and Ulli Lange is the Chair of Paonia Cherry Days. Pam Bliss, with help from members Jackie Parks, Marsha Grant, and Pam Cocker, coordinates the North Fork Children’s Christmas Party each December. Members are on the Boards of The Blue Sage Arts Center and the Paonia Library. For a small club, the Rotary Club of the North Fork Valley enjoys a reputation for actively supporting its community and international concerns. For a small club, the Rotary Club of Paonia enjoys a reputation for actively supporting its community and international concerns. Thank you for your donations to the rotary Scholarship fund.